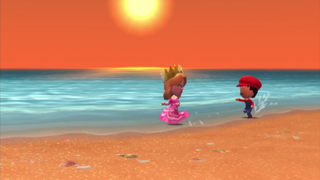 Earlier this week, we helped publicize a fan-made petition that set out to get gay marriage support in the upcoming Nintendo game Tomodachi Life, which allows players to hang out and start relationships in a weird, surreal alternate universe habitated by Mii characters. Nintendo never intended to make any form of social commentary with the launch of Tomodachi Life. The relationship options in the game represent a playful alternate world rather than a real-life simulation. We hope that all of our fans will see that 'Tomodachi Life' was intended to be a whimsical and quirky game, and that we were absolutely not trying to provide social commentary. Of course, denying gay people the right to get married in a game about relationships and marriage is itself "social commentary." We have heard and thoughtfully considered all the responses. We will continue to listen and think about the feedback. We're using this as an opportunity to better understand our consumers and their expectations of us at all levels of the organization. We have been looking to broaden our approach to development whenever possible as we put all our energy into continuing to develop fun games that will surprise and delight players.